Our team of experienced academic counsellors, front-line office staff and Manager are always available to provide support and help in all academic matters. We are pleased to answer your questions related to the Western Experience; everything from student life and academic counselling, to any other services available on campus. Meet our team. COURSE REGISTRATION QUESTIONS? Click HERE for help! Appointments will need to be booked in advance to see an Academic Counsellor. 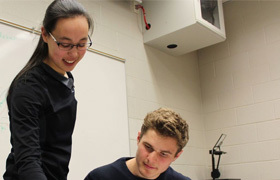 Interested in transferring to Engineering? Please email futurewe@uwo.ca. Do you have a LOCKER in SEB or TEB? You need to REGISTER here to use it! Click here to read the Engineering Locker Policy! 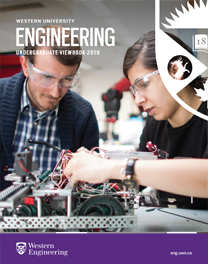 Also view the Engineering Events & Deadlines Calendar and the Western Calendar for other important notices/dates. 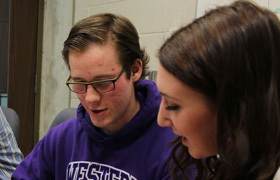 When you join Western Engineering you embark on an academic journey like no other. We offer a diverse array of interesting options and opportunities to help you actively choose a career path that is right for you.